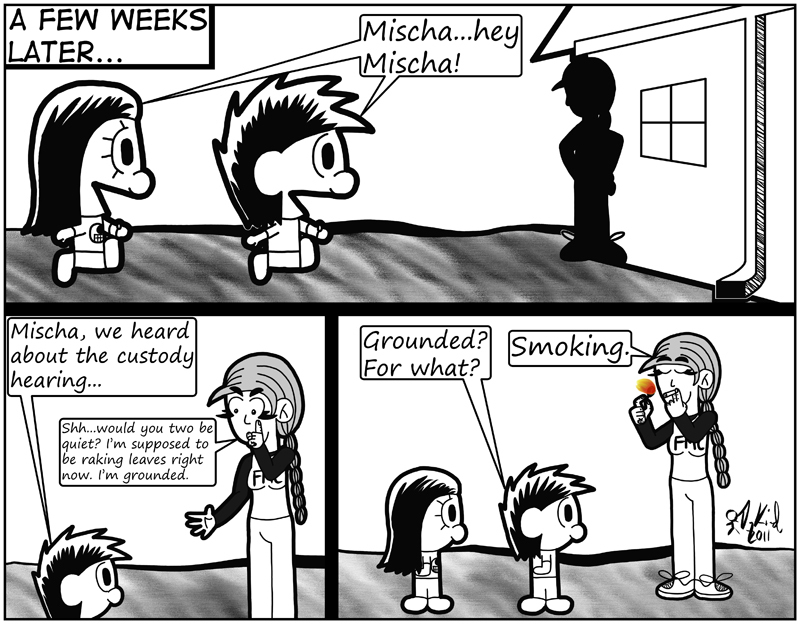 It'll take more than getting caught by her dad for Mischa to quit smoking. Of course, smoking behind the house while grounded is really, really dumb. Teenagers.